Aside from going out on the town, jewellery is one of those things I often overlook on a day to day basis. However it adds a finishing touch to an outfit, much like a lipstick does. I was recently contacted by a brand called Sacet and asked if I would be interested in trying one of their pieces. Sacet’s products are crafted using 100% recycled silver and they use ethically polished diamonds and gemstones. 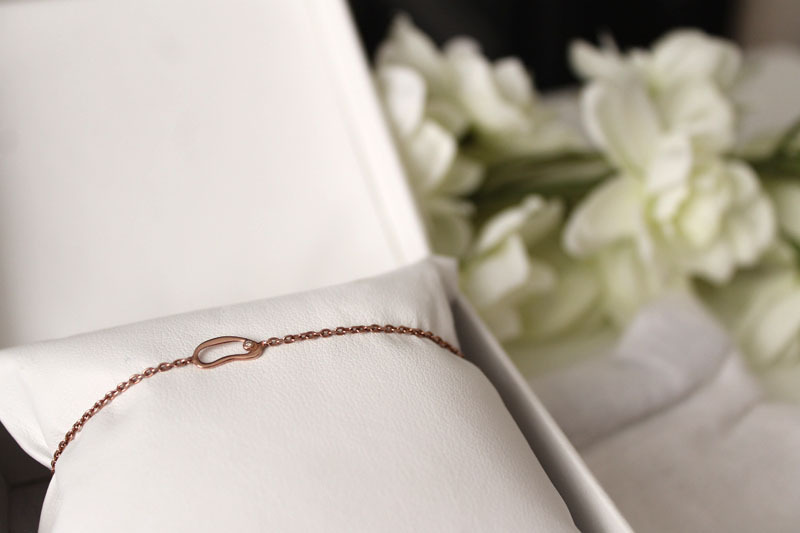 They are also environmentally conscious, their packaging is made with eco-friendly materials and their products are hand finished and custom made in an artisan workshop with an aim to reducing their carbon footprint. Their jewellery is also certified in accordance with the Hallmarking Act 1973. 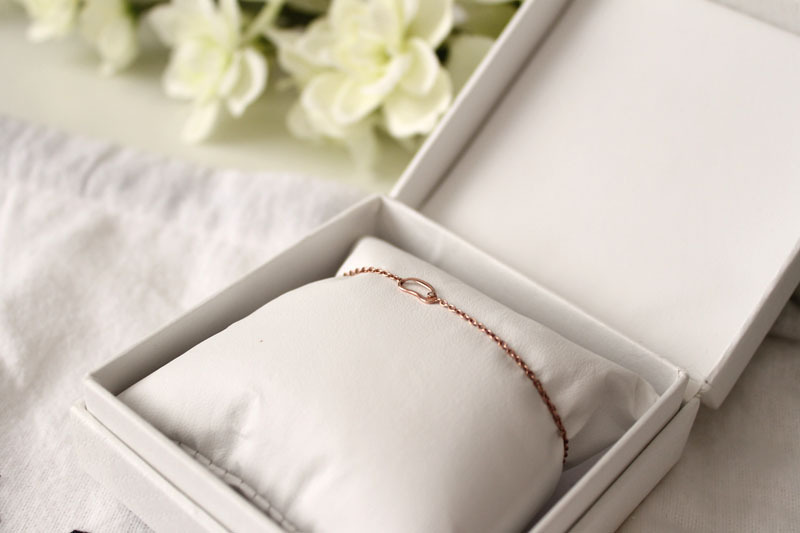 They kindly sent me this Small Hoop Chain Bracelet which is a gorgeous rose gold chain with a delicate hoop and a tiny diamond. 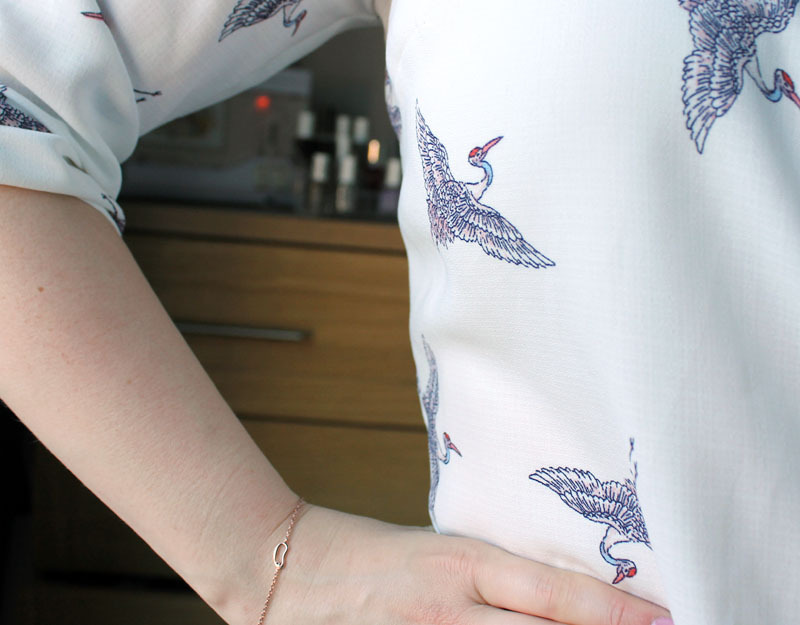 I don’t actually own any rose gold jewellery and I don’t tend to go for it as a usual rule, but actually once I tried this on, I was converted. 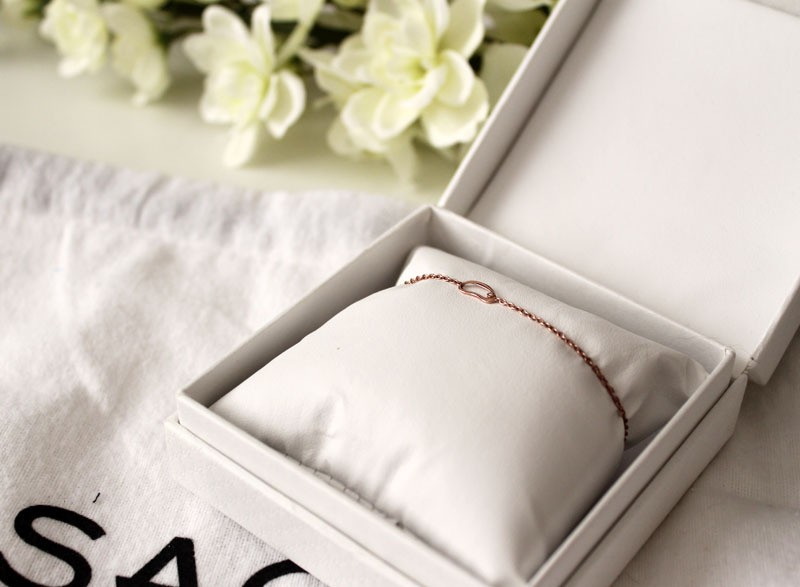 What I really like about this bracelet is it’s really quite delicate and feminine, I’m not really a fan of thick chunky jewellery, I like quite simple, elegant pieces so I feel this really compliments any outfit and adds a stylish finishing touch. I’d definitely recommend checking out their website. They have some lovely elegant pieces but what really strikes me about the brand is how much there is about the jewellery itself, how it is made, information about the designer and the people who make the jewellery and just their ethics in general.